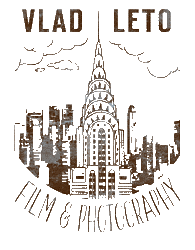 Vlad Leto Photography specializes in capturing weddings and surprise proposals so that couples have a way to remember them for the rest of their lives. New York City— Proposals and weddings are events that people wish to remember forever, but they are often difficult to capture without ruining the moment. The last thing someone would want right before they proposed to the love of their life would be an unsightly flash going off and spoiling the surprise. Vlad Leto Photography aims to solve this problem by providing a new photography service with the explicit goal of harnessing the passion and emotion of these moments without getting in the way of them. Vlad Leto’s work has been featured in the New York Times as well as Business Insider and Cosmopolitan. His experience is unprecedented, encompassing over 1,000 proposals and weddings. As a result of his experience, he has mastered the art of choosing a spot for a marriage proposal in New York City and can offer advice on the best way to go about it to make it memorable and unique. As a proposal planner, Leto understands that the surprise of the proposal only happens for a single moment that must be photographed perfectly, or it is lost forever. It is imperative to have an experienced photographer who knows exactly what they are doing. Otherwise, clients risk missing the opportunity to memorialize one of the most important seconds of their lives. Vlad Leto Photography encourages communication with potential clients to answer any and all questions they may have about his services. He understands that his clients want their special day to be perfect, and he wants to make sure that he can provide all that they desire. If potential customers have any concerns or inquiries, they can simply send Leto a quick message, and it will be addressed in a timely manner. While photography is nice for capturing a static moment, a video can capture the entire event. That’s why Vlad Leto Photography now provides videography packages in addition to their photography packages. Detailed information about everything that Vlad Leto Photography offers can be found on their website at https://vladletophotography.com/. A wedding proposal signifies a new beginning and the start of two separate lives becoming one. It is one of life’s milestones that should not be taken lightly, and it is an event that will be cherished for years to come. A proposal planner can help make sure that it is commemorated tastefully in photographs and videos that can be shared with loved ones. Anyone who desires to memorialize their marriage proposal in New York City can employ the services of Vlad Leto Photography to ensure that their precious moment never fades away.